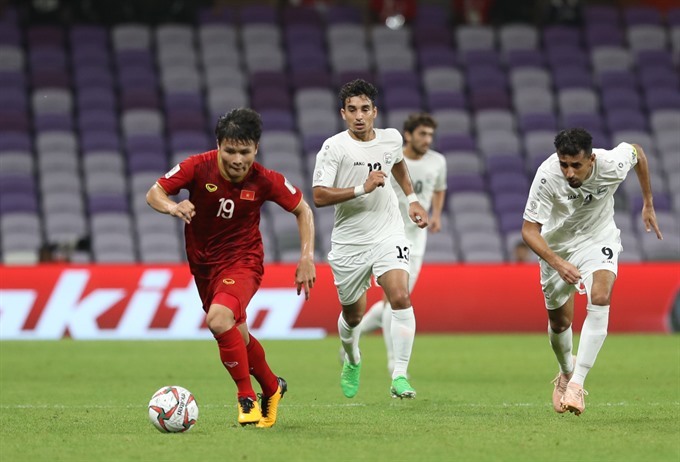 From the Asian U23 Championships a year ago through the Asian Games, the AFF Cup and now the Asian Cup, Vietnamese footballers have shone on the international stage. Now, the team’s stars need to play club football abroad to reach their full potential. Fox Sports Asia recently named five young players likely to move abroad after the Asian Cup, including midfielder Nguyen Quang Hai. "While he plays for Ha Noi FC in Viet Nam currently, his fleet-footed dribbling abilities and eye for goal would definitely have attracted the attention of other teams in Asia, perhaps even in the J-League," the website wrote of the diminutive playmaker. 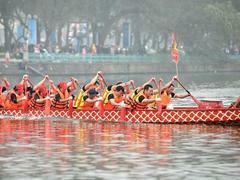 It is not the first time Fox’s reporters have urged Hai to leave Ha Noi. Last September, Scott McIntyre published an article on foxsportsasia.com entitled ‘Quang Hai needs to move abroad now’. At the time, it was reported that the 21-year-old and Ha Noi FC officials believed it was better for him to sharpen his skills locally for the next two or three years, though Hai has yet to comment publicly on the issue. 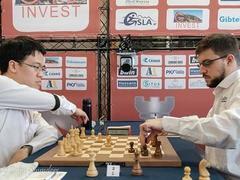 While Hai has stayed quiet, his teammate Nguyen Cong Phuong has spoken up. "I want to have the chance to play abroad, Japan or Europe, however, it is not easy because of rules and contracts with my clubs. Some European clubs have contacted me but my (Hoang Anh Gia Lai) club managers refused. I hope these issues will change soon and I can make my dream come true. It is also a way I could help the national team which is aiming for a berth in the World Cup." 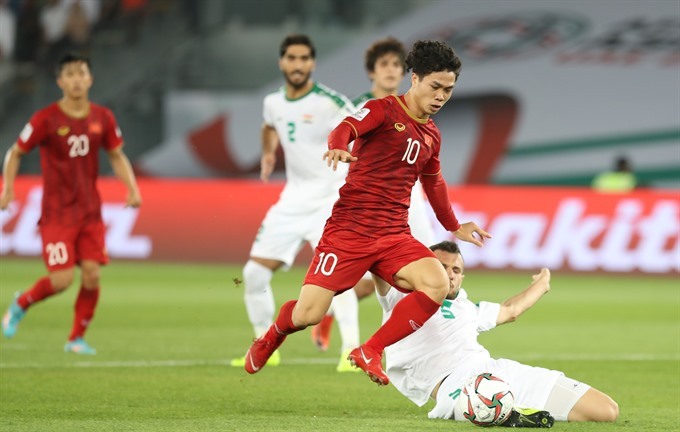 The player from Nghe An Province, who notched two goals and one assist in the Asian Cup, was tipped by Fox Sports Asia as likely to be the subject of big transfer offers after the tournament, possibly from Thailand or Japan for a second spell. Steve Darby, former coach of the Viet Nam national women’s team, told e-newspaper doisongvietnam.vn that Hai, Phuong and other players like forward Phan Van Duc and defender Do Duy Manh are at their peak and should go abroad if possible. Darby added that local clubs should work with other sides from more developed football countries to create opportunities for their players to move on to gain experience. He said foreign clubs had contacted Hai but Ha Noi did not let him go, possibly holding out for a bigger transfer fee, which is within their rights, but something that could stunt the player’s growth. The best plan could be a loan contract, Darby suggested. The first Vietnamese footballer to play in Europe, retired striker Le Cong Vinh, also thinks Hai needs to make the jump now. "Hai can play abroad. He can even be successful as he has proved his talents. He is small but owns good technique and incisive mind which will help him to integrate with different clubs," said Viet Nam’s best striker Le Cong Vinh. "Playing abroad has never been easy but to push oneself up players should not stay locally. Such good players in our current generation will help change our football image in other countries’ eyes," said Vinh, who played in both Japan and Portugal. Earlier this month, during a visit to Viet Nam, Manchester United legend Dwight Yorke also said Vietnamese players should leave the country to improve. Speaking with fans in HCM City he said there were many players with potential in Asia and Viet Nam in particular but they needed better conditions to develop. He also said tournaments in Asia were not as competitive as those in Europe, so to push themselves footballers should go abroad and play at higher levels. One of the national team’s stars has already taken the plunge, with goalkeeper Dang Van Lam sealing a dream move after the Asian Cup to Muangthong United of Thailand. Việt Nam News is proud to announce the launch of OhVietNam at OhVietNam.vn, the second subsidiary of our newspaper's popular online edition. With an insider’s perspective, OhVietNam aims to provide readers with the country’s last news in culture, fashion and entertainment. We are also proud to present in-depth featured stories, thoroughly presented with historical and cultural background on various aspects of life in Việt Nam. We are committed to providing support and guidance for first-time visitors to the country as well as the foreigner community with our local news coverage, health tips and advice on other everyday life related issues. Our goal is to help visitors and foreigners living in the country to better understand and appreciate Vietnamese traditional and modern cultural value and to help build a friendship bridge between the international community and Việt Nam. We’d love to hear comments from you. Anything from what could be done to improve our contents to ideas for stories or even strange, wacky things you’ve seen in Việt Nam. We place great value in user-created contents. Please don’t hesitate to send us your pieces. Be it a story that moved you deeply during or your personal experience or just great photos that you captured during your amazing journey in Việt Nam.